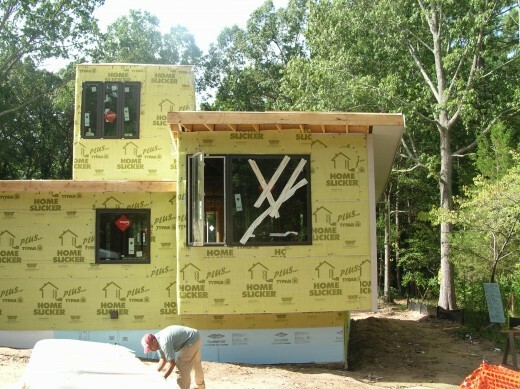 The "net-zero" home in Durham that we have been working on is not only trying to reduce their expenditures later by utilizing energy saving construction but they are also saving money during the framing process by using advanced framing techniques. 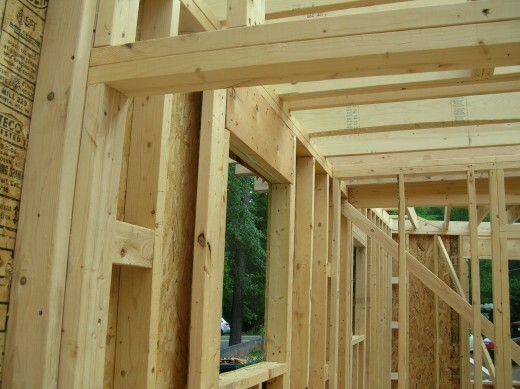 Advanced framing techniques (also called Optimum Value Engineering) start with a well thought out framing design that considers common lumber and sheet sizes. This reduces waste, minimizes cutting and consequently material and labor costs. 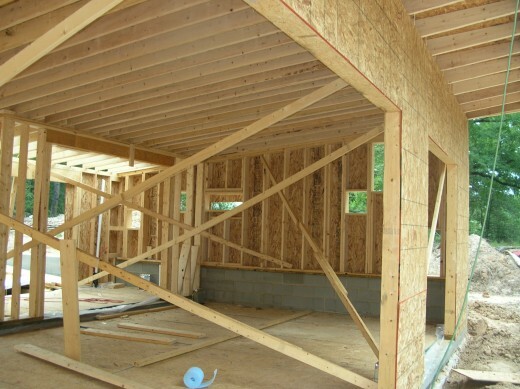 Advanced framing also leaves more room for insulation and eliminates cold spots, thus making the house less expensive to both heat and cool. 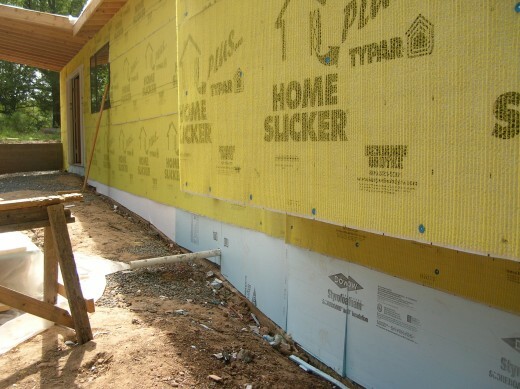 This home has given us an opportunity to try out a new product, Home Slicker. You may have seen a home under construction and noticed that the home was being wrapped with black paper or Tyvek. This is done as an added barrier to keep moisture out. We'd originally planned on creating channels for rain to drain behind the siding with wood strips until we found the Home Slicker product. In the picture below you can see the channels allowing for drainage built right in!